Many action figure collectors buy and sell action figures. And I am no different. When you buy cases of action figures you often get 3 of 1 figure 2 or another and then just 1 of the remaining figures in the series or wave. It is never an exact split of numbers between each figure in the series. So what do you do when you end up with 3 of the same action figures from the same case? Well, you can keep the best action figure mint in packaging. You can if you wish open and add one of the duplicates and add it as part of a bigger loose action figure display. It’s much easier to display loose figures than MOC or MIP. Or of course, you can sell the 3rd of 3 or in fact just sell 2 of the 3 duplicates. 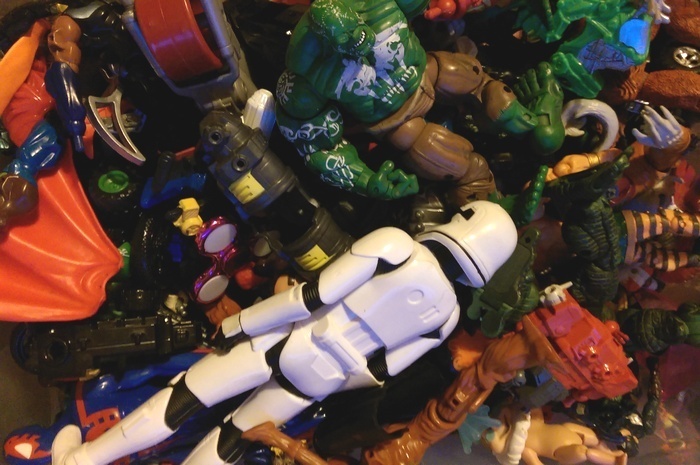 Why do Toy Manufacturers not split figures evenly within cases? Well firstly let’s explain what a case of figures is for those who don’t know. A case of figures is a box of figures. Action figures are released in series or waves with a set number of characters in each wave or series. And each case is a number of figures from a wave or series in a box. So, for example, ToysRUs would buy 50 cases or 50 boxes for a store. So why is there not the same number of figures per character in a case? The main reason is that they always supply more of what they consider will be the popular figures from the wave. So when you go to a toy store and look at a Spider-Man series your always going to be able to find a Spider-Man. and it is going to be harder to find the lesser known characters as there are fewer of them. There are also often variants in the cases. A figure may appear without a mask or in a completely different colour and they may not even appear in every case. And this is what drives collectors into a frenzy as they buy all the figures and hunt down the elusive chase variants. Lots of action figure collectors will buy full cases of figures in the hope of getting the variants. This means they will have lots of versions of the same figure which they will then sell on. I used to have 3 or 4 cases shipped to me. I would have accounts at toy wholesalers where I could buy them cheaper than in stores and then sell on the duplicates. eBay used to be the place to buy and sell action figures and collectables. You would often see lots and lots up for sale as Buy It Now items and also in auctions. But you don’t really see this now and there are a few reasons as to why this has happened in my opinion. Figures, in general, are much more expensive. When Toy Biz was making Marvel Legends we had a £6.99 price per figure in the UK. When Hasbro took over the price shot up over £10. 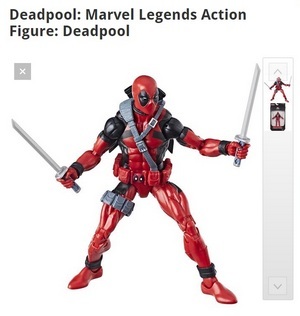 Marvel Legends are now over £20 retail per figure. So fewer are being sold, collectors are not buying so many cases as it’s a big outlay and you can’t then resell that popular Spider-Man and get close to the price to get your money back. It has just all become very expensive to buy and sell as a collector. There are also fewer auctions because of the way that postage here in the UK is calculated. Postage used to be paid on the weight of an item. This was great when someone purchased 3 or 4 figures because you could send a lot for a little. Now it has changed. Price is now based on size and shape. An item coming in at 100 grams can cost more than an item weighing 2kg depending on its shape and if it fits through a postage slot size. Action figures don’t fit through these spaces and so now cost a small fortune to send. Buyers won’t pay the cost. The only alternative sellers have is to sell at a full price as a Buy It Now but then unless the postage is in the price it is still a problem as you can buy from Amazon cheaper and often pay no postage. eBay remains a very good place to buy loose figures. Search for figures that you want but misspell the name of the item when you search. When a buyer misspells an item it will often not show in the search on eBay. These figures can slip through the net and not be found. You can often pick them up at great prices. Amazon is a great place to buy from. You can buy from Amazon it’s self and also buy from sellers within the Amazon Marketplace. 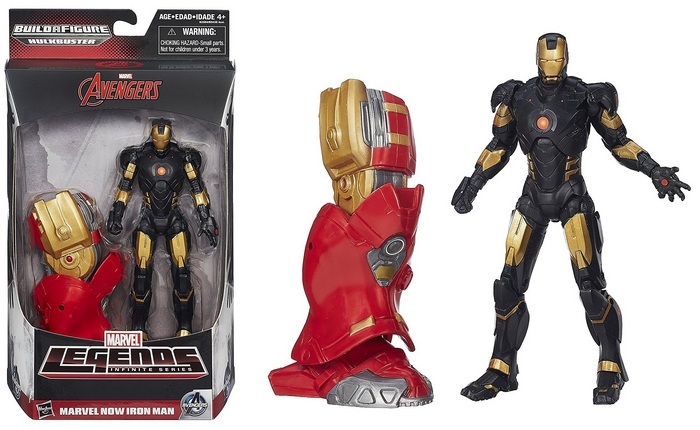 You can check out this awesome Iron Man figure from the Infinite Series on Amazon below to see how it all looks and works. Selling via Amazon is a great way to move on unwanted action figures though there will be qualifiers to meet, don’t worry these are easy to overcome. I will tell you all about it when I write a How to start an action figure and collectables business, it’s coming soon. The Facebook Marketplace is a great way to find action figures on sale near you from private sellers. You can often find stacks of really cool figures to buy at very competitive prices because it is normally mums and dads selling the items. Their kids have outgrown the figures and mum and dad are just offloading what they see as clutter and selling. The Facebook marketplace is also a really good place to sell action figures especially if you want to put in some legwork in the collector’s groups on Facebook to help get them noticed. You can haggle or negotiate if that is your thing. There are no selling fees. You won’t necessarily get the best price for your figures or collection when selling. You have people coming to your house, not always ideal. If you don’t mind going to someone’s house to buy or having people coming to yours when selling then Facebook marketplace is a great free way of buying and selling action figures. It is possible to have items shipped to your address if you want, just make sure that both sides, buyer and seller are happy with how the process will work. Paypal payments would be the way to go when receiving and making payments. If you are selling make sure that you ship to a verified Paypal address and use recorded or registered postal options. Gumtree works along the same lines as Facebook. You make a classified ad describing your action figures. Add photos and send your ad live. All the same pros and cons above really apply to both buying and selling action figures on Gumtree. You will have to put in some legwork with the Collectors Forums making deals and negotiating. Your ideal buyers will be in the forums so you should be able to get a good price, but it will probably take some time to make your sale. 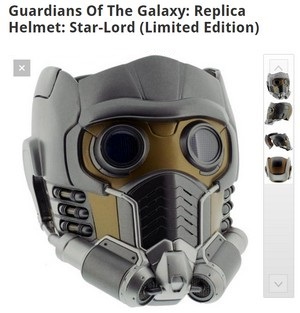 You can contact collector stores on your high street like Forbidden Planet to sell your action figures quickly. The downside is your not going to get anywhere near their true value and the buyer is looking to sell on what they buy at a profit. 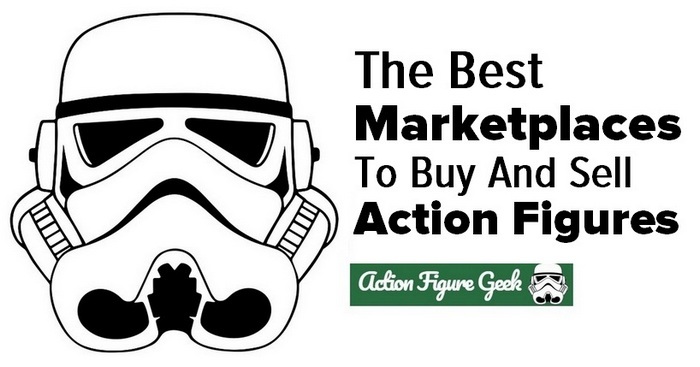 eBay is the most popular choice when it comes to buying and selling action figures. Transactions are safe and secure and you are covered by Paypal buying and selling agreements. You can expect to pay more for figures via eBay and sellers factor in the problematic postage costs. With this regard, Amazon is a much better buying option as the postage can often be free depending on what you are buying and the value of the order. Facebook Marketplace and the other options are also worth checking out. Especially Facebook Marketplace. I have made a few purchases there and it works well. If you are looking to buy then all the above marketplaces are good for you. Do you have any marketplaces that you use that I haven’t mentioned? Have you had any buying and selling successes or nightmares? Which action figures should I collect? Another Dexter blog LOL! You are everywhere man. Love it. I’d been tweeting posts from this blog through Viral Content Bee but never stopped by to see what was cracking. I think of my He Man characters as a wee lad. Loved em. I even had the whole castle, although I ruined it by spraying fake snow on it. Ryan Biddulph recently posted…How Can You Really Stand Out During Your Blogger Outreach Campaign?